Once the stately home for one of Rockland’s most prominent merchants, today, Berry Manor Inn is among Maine’s most romantic B&B inns and is considered one of Rockland/Camden Maine area’s premiere luxury Maine coast inns. TripAdvisor recognized the inn as one of the Top 25 Best B&Bs and Inns in the US in both 2013 & 2008 and recognized as one of the Top 10 Most Romantic Inns in 2016 by iloveinns.com. 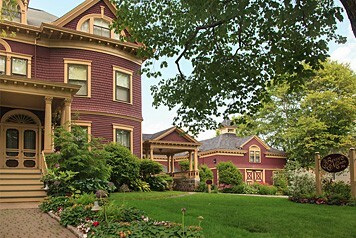 Renowned for its homemade pies, grand hospitality with a Victorian flair, luxurious comfort and a very unusual collection of toy hamsters, our Rockland, Maine Bed and Breakfast offers the ideal mid-coast location for exploring Maine’s arts, heritage and coastal sights. The Berry Manor Inn sets the standard for “B&B Relaxed Luxury” and demonstrates that luxury, elegance and comfort can co-exist without pretentiousness and formality. 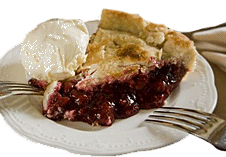 View our B&B vs. a Rockland, Maine vacation rental page for more information about why a bed and breakfast is a much better option. Our Rockland Inn offers a host of amenities for everyone from couples seeking a romantic getaway to travelers in search of business amenities including complimentary high-speed Internet access, flat screen televisions, guest computer and printer workstation, in-room phones and flexible breakfast schedules. Berry Manor Inn has been certified by the state of Maine as an environmental leader in the hospitality industry. Learn more about our green practices - and how we are an environmental leader!